Referees are often the whipping boys as supporters of both teams either criticise or favour decisions they make. And referees’ performances at all levels are critically judged by their own. SANZAR stood down referees following complaints against their rulings. Concerns about a specified referee’s ability have been around for over a century. The most obvious incident was of a try denied to the 1905 All Blacks centre three-quarter Robert George Deans with Wales leading 3-0. Deans’ try was disallowed by Welsh referee John Dewar Dallas. Despite the All Blacks protests that Deans had been dragged back into the field of play before the suited referee belatedly arrived on the scene. The ruling became part of All Black rugby history. Many asked why Joubert did not ask for clarity from the TMO. According to protocol this incident was outside the TMO’s area of concern. 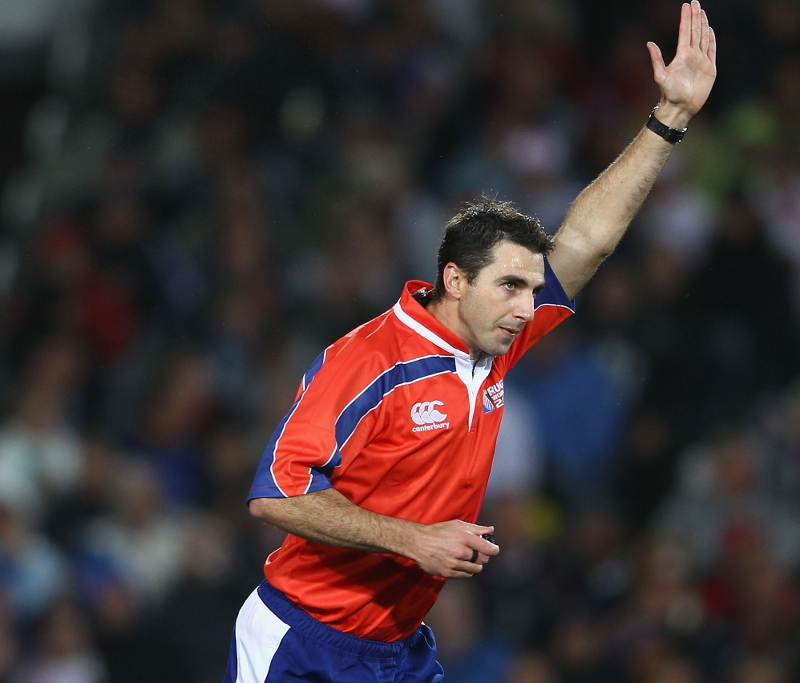 Since Joubert’s demotion in the quarter finals, some experienced international referees suggested changes. International referee Mark Lawrence, actually an optometrist, believes that with all today’s technology captains should be given a chance to query contentious decisions as in tennis and cricket, with some limitation on the number of appeals for reviews. Locally, the late Eddie Lapsley, a pastrycook during the week and a referee over the weekend, was a dedicated Athletic club supporter all his life. During a break in play another Athies supporter asked him how their team on the paddock was going. This entry was posted in As I See It and tagged Referee, Rugby World Cup, sport, technology by SJPONeill. Bookmark the permalink.